Making his European Le Mans Series debut, the Le Castellet event will mark the first ever endurance sportscar race for the 22-year old from Bergamo. Since 2009, Ceccon has competed in a number of high profile single-seater championships, including the European F3, GP2 and GP3 series’. From Weston-super-Mare in the south west of England, 34-year old Coleman has extensive experience of racing sports cars. Starting off in Radicals, he won the Enduro Championship in 2003 and then went on to win a VdeV Championship in 2005. 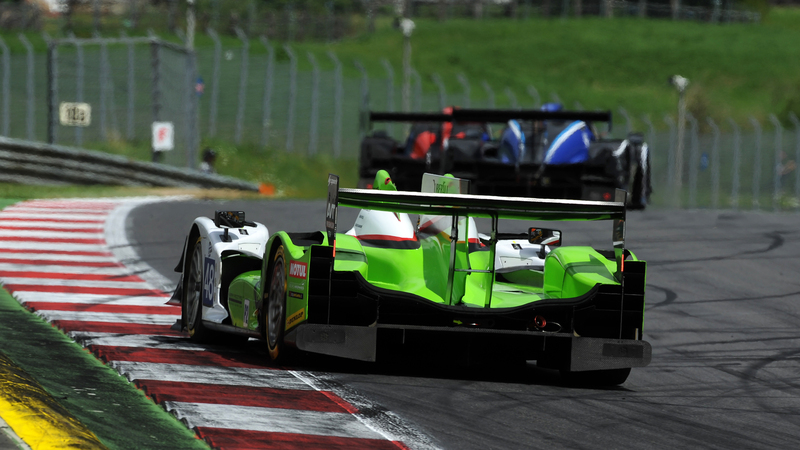 After outings in the British GT Championship and more Radical races, Coleman tested for Murphy Prototypes in 2014 and 2015. In 2016 he drove in the first two ELMS races and the 24 hours of Le Mans with another team, but is now pleased to to be joining Murphy Prototypes. The 22-year old from Wicklow in Ireland, is the one driver in this weekend’s line up that has driven with the team in all ELMS rounds this year. As well as underline his potential as and up-and-coming driver, Doyle has shown maturity above his experience in what is his first season of endurance sportscar racing. The track action for the 4 Hours of Le Castellet kicks off with a 90-minute Free Practice session on Friday afternoon. There’s a further 90-minutes of Free Practice on Saturday morning followed by a 10-minute qualifying session at 13.30, with the four-hour race scheduled to start at 14.00. All times are CEST.